Successful social justice projects require raising students’ awareness about issues and providing advocacy and aid opportunities. Ferguson, Baltimore, Cleveland, New Orleans: These cities have become synonymous with racial intolerance and symbols of what’s wrong with race relations in our country. As educators, we’re charged with preparing our students to be successful in life and to be productive members of society. But with all the focus on standardized tests and core curriculum, we’ve forgotten that the concept of literacy should also include culture and tolerance of diverse people and backgrounds. One of the best ways to develop cultural literacy and help our students understand these goals is through social justice processes and projects, activities that develop a mindset of concern for our society’s inequity in wealth, education, and privilege. These projects empower our students to effect change through awareness, advocacy, activism, and aid. They’re collaborative activities that help develop critical thinking, writing, and media literacy skills. Social justice projects’ interdisciplinary nature helps students make important connections between history, culture, economics, and science. I would argue that many of our social and political problems stem from a lack of empathy, so a fundamental step in social justice projects is developing a mindset of openness and self-reflection. Research, historical facts, and data may be helpful for this, but I find that an emotional connection is the best way to awaken awareness, making the concepts tangible and personal for students. One of my favorite exercises for this is the Paper Ball Toss. It’s a simple activity that illustrates the differences in social class and how position in a hierarchy is perpetuated. Follow the exercise with a class discussion and self-reflection to explore students’ preconceived ideas and misperceptions. Another initial exercise is the I Am From poem (PDF), a sort of social justice Mad Libs where students reflect on their lives and share their concerns with classmates to develop understanding of other people. Ideally, these poems take us by surprise—what we think we know about our peers may not always be accurate. This exercise is a great way to explore how surface observations are misleading. Students learn best when they’re passionate about a subject. Facilitate this by allowing them to pick topics that interest them and decide what form a project will take. Teachers might take a topic from the existing curriculum and provide several options for projects. Even better, have students use a social justice lens to generate a list of concerns, and develop one of these as the focus of their project. In St. Louis, journalism teacher Don Goble had a student become motivated to create a project based on events in nearby Ferguson. The student had lacked drive and enthusiasm in the past, but the event struck close to home and ignited a passion for learning that turned into a successful video news story. We should make space in our classrooms for students to express their concerns and ask questions about our world in a public forum. Rather than writing essays or journals for the teacher’s eyes only, publishing an authentic product for the world to see adds purpose and meaning to student work. On our trip to Cuba, one of my students produced a documentary that sparked an online discussion with a viewer in Cuba, changing how my student perceived the historical facts and her role as a filmmaker. If we really want to empower our students to have an impact outside of the classroom, we should consider publishing their work online. Blogs: Students can create online posts that consist of text, images, artwork, links, and video around a given theme. These posts, depending on frequency and length, might take the form of an online essay, a short daily/weekly reflection, or a large-scale research project. Social media: Engage a global audience with students publishing to social media platforms like Twitter, Instagram, or Pinterest. This short form allows for fast, free publishing, and students can reach out to politicians, celebrities, and other stakeholders by mentioning and tagging them in posts. Leverage the power of social networks to reach a global audience. Research and follow social justice organizations and individuals on social media. Start a dialogue with them about a topic of your choice. Share your ideas for solutions to social justice problems using a common hashtag, similar to #BlackLivesMatter. Include links to articles or your own blogs. Video and multimedia storytelling: The power of video and photography is unparalleled. Leverage mobile devices to record and edit video, and craft short films or documentaries. 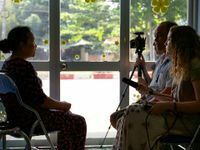 I previously wrote about the importance of teaching video storytelling and outlined how you can do this in your class. My students have explored political and cultural inequity through their international documentary trips and broadcast journalism stories. For an introductory project, record and assemble interviews and testimony from people in your community, and post the videos to your class YouTube channel or Instagram account. 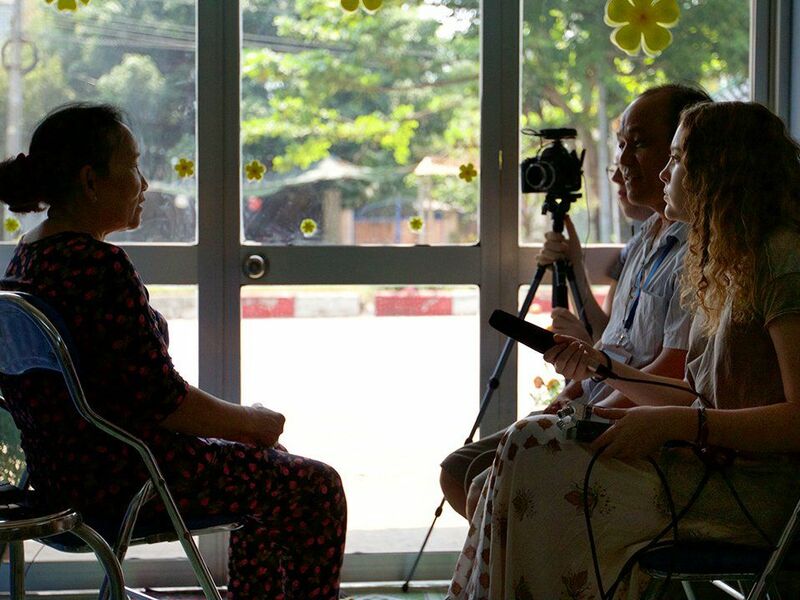 Even young students can use photography and video for social change. Interview people who have made a difference in your community, and archive their responses in a multi-touch book or YouTube channel. Produce a documentary that explores a problem in your neighborhood and offers solutions to fix it. Make a documentary about something good in your neighborhood that others don't know about. Students also have the power to effect change in the world right now. Activism includes letter-writing campaigns to politicians, lobbying corporations to change policies, and participating in local parades and events. Students may also support a cause in other ways—volunteering at a homeless shelter or food bank or raising funds for charitable organizations, for example. Students at High Tech High in Chula Vista, California, created a successful Kickstarter campaign to address gun violence, and my journalism students created documentaries to tackle the struggles of former gang members in Los Angeles and how the lack of affordable housing affects people in large cities. The Southern Poverty Law Center has many additional ideas for social media projects across all subject areas. Social justice projects can be challenging because they take students and teachers outside of their comfort zones. To be successful, start by establishing an atmosphere where students feel safe sharing their opinions and by developing a classroom culture of respect. Consider some exercises or projects that are private in nature (shared only within the classroom) and others that are public. Factor in student comfort levels and context when deciding where the projects will be shared. Of all the meaningful experiences that we can provide students, those related to social justice might be the most important. All the facts, concepts, and skills we teach are for nothing if students are unable to use that knowledge in ways that improve the world around us.